Please answer the following to the best of your knowledge / Bitte beantworten Sie folgende Fragen bestmöglichst. 1. Does your child have any special education needs while in attendance? / Benötigt Ihr Kind spezielle Betreuung in der Schule? If so, please describe / Wenn ja, welche? 2. Does your child have a special diet or any known food allergies? / Hat Ihr Kind eine spezielle Diät oder eine Nahrungsmittelallergie? 3. Is your child currently under medical supervision for any physical or mental illness / Ist Ihr Kind im Moment oder war es in der Vergangenheit in ärtzlicher Behandlung wegen, körperlichen oder mentalen Beschwerden? If so what is the type of type of therapy/treatment? / Wenn ja, welche Form der Therapie/Behandlung? In welcher Sprache wünschen Sie die Korrespondenz mit der Bilingual Kids Academy? Wie sind Sie auf die Bilingual Kids Academy aufmerksam geworden? This Bilingual Kids Academy application form is non-binding for both school and parents. 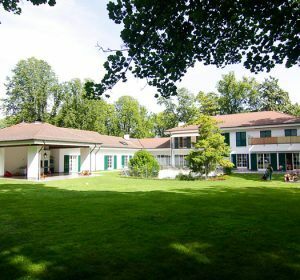 Das Anmeldeformular der Bilingual Kids Academy ist für Eltern und die Schule unverbindlich. Day care, Preschool, Kindergarten - The Gellert 37 Campus is a country estate styled residential villa located in the beautiful Gellert neighborhood. 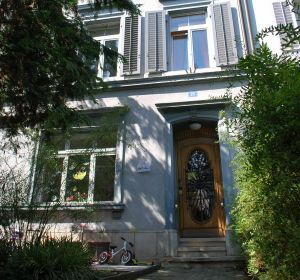 Kindergarten, Grades 1-6 - The Gellert 25 Campus is a beautiful 19th century villa that is located in one of Basel’s finest residential neighborhoods. Day Care, Preschool, Kindergarten - The Spalentor campus is a large converted vintage town house with a generous balcony overlooking an enclosed back-yard play area. 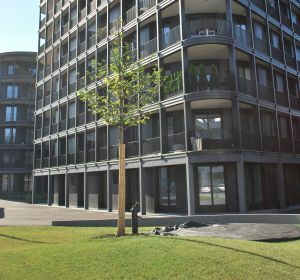 Day care, Preschool, Kindergarten - The Wettstein campus is a short walk from the main Roche campus, and right next to the lovely Rhine River.